We have an orphan crisis in our country. Here in South Texas, the situation is no better. In response to this crisis, we formed 1HOPE for Kids (formerly 4KIDS of South Texas) with the simple goal of doing everything possible to serve the needs of orphans and the families that serve them. While serving as foster parents, learning to meet the needs of the children in our homes, the founders of 1HOPE became acutely aware of the immense crisis children in our region are facing. We're here to work with you and for you, providing support at every stage. While finishing her undergraduate degree, Kristi’s eyes and heart were opened to children in child protective services through serving as a kinship placement. Her personal experience lead her to pursue a career in social work, which afforded her the opportunity to serve children in crisis professionally, too. Kristi has been working in the child welfare field for over a decade. Kristi contributes a vast array of professional and personal experience to the 1HOPE team. She has served as a CPS investigator, faith-based child-placing agency case manager, intake coordinator and program director. She is skilled in all the behind-the-scenes tasks of compliance with state and area regulations, while working with Child Protective Services representatives to make excellent placements in 1HOPE foster families. Kristi excitedly accepted the call to serve as the Executive Director and Licensed Child Placing Agency Administrator of 1HOPE for Kids in 2014. Kristi embodies 1HOPE’s mission, vision and values and is dedicated to serving foster families and the children they serve. In her spare time, Kristi enjoys spending time with her 6 children, going to amusement parks, and making trips to the beach. John’s work with abused and neglected children goes back many years. While serving as missionaries in Eastern Europe in the early 1990’s, John and his wife Katy worked with orphans in several former East Bloc nations. They supported the restoration of dilapidated, former-communist orphanages and visited and loved on orphans infected with HIV. John has been active in working with abused and neglected children in San Antonio since his family returned from the mission field in 2005. John brings a broad knowledge of the child welfare system and has many years of experience in working for faith-based foster care and adoption agencies. He is passionate about finding quality families to care for children in need and providing those families with the support and training that will make them succeed. He joined 1HOPE because he wholeheartedly embraces the vision, which is to create a partnership of individuals, churches, corporations, government agencies and foundations committed to creating community solutions for the modern-day orphan (foster children). In his spare time (whenever he has any), John enjoys going on nature walks with his wife or watching action movies with his boys. From the mission trips to Haiti orphanages while growing up to working with under-privileged kids through a community outreach ministry during his college years, building relationships with the poor and hurting has left a long-term impact on Greg’s heart for kids in crisis. Working to provide real hope for these kids has become the dominant focus of his life. He has served as a CASA (court appointed special advocate), foster parent, and respite-care provider for foster care parents. He is a dedicated husband and father to seven children, an adoptive father through local foster care and international adoption. He is committed to his involvement at his local church where he leads and serves with his "missional community". His favorite interests are reading and spending recreational time with his family. While on a mission trip to Africa in his college years, the Lord placed a desire in Kyle's heart to work with and adopt orphans out of crisis. Years later while he began pastoring at his current church, his eyes were opened to the reality that children in foster care were modern orphans in North America today. He quickly became convinced that caring for children in the foster system who have been neglected and/or abused is not the primary responsibility of the government, but Christ's church. 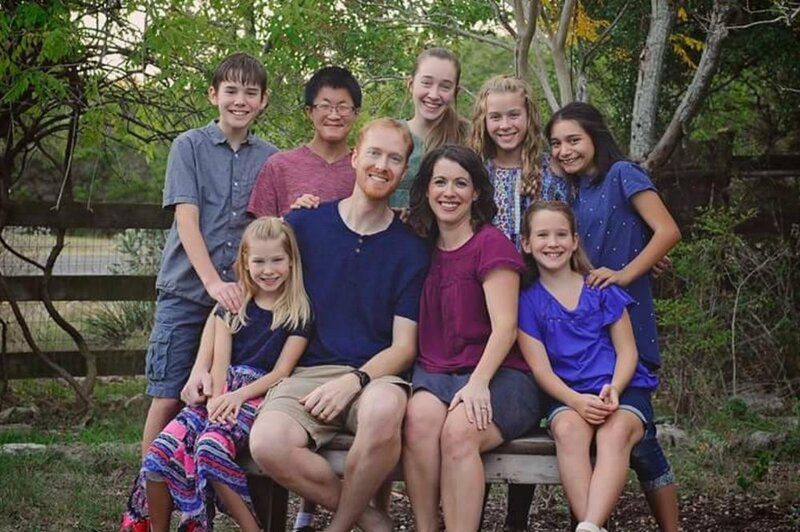 One of Kyle's greatest desires is to mobilize the church toward the mission of discipling foster/adoptive children and their biological families through the Gospel to bring authentic healing and hope in their lives. Kyle is married to his college sweetheart and they have five beautiful children, two of which were adopted out of foster care. He thoroughly enjoys reading, running, and spending as much quality time with his family as possible. While considering the decision to adopt a child, David and his wife Casidhe were exposed to a world they only knew existed in the periphery. This lit a fire in them to make whatever impact they could in their community for these children in crisis. David was a founding member of the Oak Hills Church Tapestry ministry for foster and adopted children. Serving on the executive leadership team at Oak Hills, David’s primary focus is training Empowered to Connect to future and current foster/adoptive parents. These are tools and techniques that are beneficial for bringing about dramatic healing for children that come from traumatic backgrounds. David is especially focused on the older children, who tend to become lost in the system and need people who will show them that they have a voice, and their lives matter. 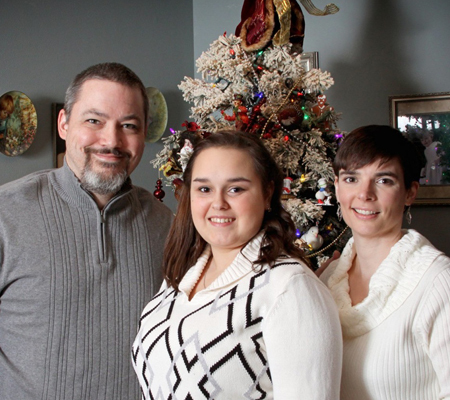 David and Casidhe provide respite care, have fostered, and ultimately adopted a 15 year old girl. They also opened their home to care for and mentor two young women whose previous adoptions were dissolved.